Gail Warner's parents joined the family of God five years before she was born, and they faithfully attended a large rural Nazarene Church named Richfield, near Flint, Michigan. For thirty-five years, Gail's varied roles as a minister's wife brought her great fulfillment and opportunities to witness for Christ. With fond memories, she recalls the years in a parsonage setting, where she and her husband, Richard, raised three outstanding daughters. 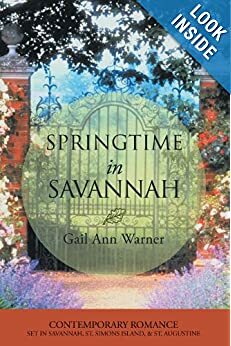 Gail finds joy in traveling with their family, singing in a quartet, working in her flower garden, participating in Beth Moore Bible studies, and connecting with friends on Facebook. Though she is a five-time cancer survivor, she thanks God for giving her good health. Gail lives with her husband in Illinois, but because of Eugenia Price's novels, she has a love for historical places.